What Features Does SecureTeen Have? How Do I Install SecureTeen? Is It Legal To Use SecureTeen? When it comes to the safe use of the internet, kids are those who almost always don’t care about security rules. They are likely to search for dangerous content, communicate with all the people (strangers included) and download hazardous applications. Luckily, some apps may help parents to control their kid’s online behavior. 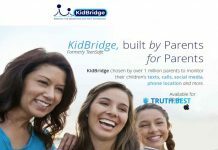 SecureTeen allows parents to filter, block and manage the content their children are exposed to. Understand how SecureTeen works and whether it is a suitable app for you now. SecureTeen is the parental control app, which helps parents to manage web surfing and control all the mobile phone activities of their kids. SecureTeen app is designed to effectively block dangerous games and apps, to make sure your child stays safe online. Since it is phone monitoring application, SecureTeen needs to be installed on the target device. SecureTeen app is compatible with Microsoft Windows, Android and iOS devices. So Once the installation is done, you will need to set the rules. They will define the restrictions for apps and websites your kid uses. Next, you need to log into a personal web-based dashboard. Here you can modify the pre-set rules and control all mobile phone activities anytime. To view the Internet activity logs, enter your dashboard, identify the child and the reports will be displayed. No matter what your child searches for online, they may accidentally stumble upon adult-oriented content. But sometimes, they even do it on purpose. SecureTeen helps you to filter online content on the kid’s device to prevent early exposure to inappropriate material. A lot of children love playing mobile games. But sometimes they get addictive and waste all their spare time sitting on the phone. With SecureTeen you can block apps on your kid’s device for some hours a day and ensure their productivity for the whole day. All tweens and teens love chatting with their friends and schoolmates. But sometimes, they get contacted by strangers and cyberbullies. SecureTeen allows you to protect your child from negative people by monitoring their SMS and chats in Facebook messenger. Many busy parents would like to know their kids travel home safely. That’s why location tracking is a useful option. The SecureTeen app tracks the kid’s location to let you quickly find out where your child is at any time of the day. Your kid’s website history may tell a lot about their interests. SecureTeen tracks internet activity on the target device to present you a list of visited sites and make sure the child doesn’t search for inappropriate content. To start using SecureTeen app, you need to purchase a subscription. SecureTeen has only one subscription package, which is Premium. It contains all their features and costs $39.99. Once your purchase is confirmed, you will receive further instructions and installation guidelines on your e-mail. Installation process slightly differs depending on your phone’s operating system. Check the short guidelines below to get to know how to install SecureTeen on Android or iPhone of your child. Open the mobile browser on your kid’s Android and go to www.secureteen.com/androdid. Tap Download child app to begin the download. The SecureTeen app page on Google Play will open. Tap Install. Accept all permission and wait till application is installed. Open the app and follow the on-screen instructions to set up the SecureTeen app on kid’s device. Open Safari browser on the kid’s iPhone and go to www.secureteen.com/enroll. Enter registration code and tap Install SecureTeen profile. Tap Allow on the pop-up. Once you see SecureTeen VPN, tap Install and confirm with your passcode. Tap Install again and select Done once installation is completed. You will be redirected to a page, where you can check whether the profile is installed correctly or not. Follow the on-screen instructions to check the profile installation status and install SecureTeen child app. It is legal to install the SecureTeen app on the device that you own. You can monitor your kid’s devices as long as they know about it. It is prohibited to track anyone’s mobile phone if the owner is not informed about it or do not agree to be monitored. SecureTeen is an excellent application for content filtering. It helps parents protect their kids from adult-oriented sites and stop inappropriate content exposure at an early age. But, SecureTeen seems like a simple and basic application. It doesn’t have keylogger, geofencing and other advanced features. With the limited choice of SecureTeen options, you can ensure your child doesn’t search for unsavory content. But you can’t ensure they are completely safe online. If you want to try advanced monitoring, better look for more sophisticated parental control software.